No Batteries Required. Solar powered with a hand/crank option. 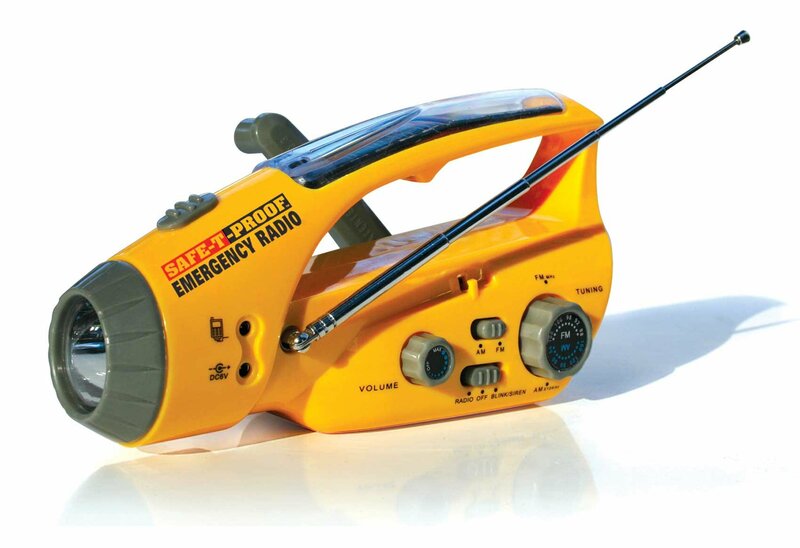 Includes Am/FM Radio, Flashlight, Siren, Blinker and Cell Phone Charge. Store next to your bed. Keep one in each car.It now comes with a USB Connector!